Evolution Moving Company Fort Worth is a multi-location moving enterprise with a long history and well-established reputation throughout the Lone Star State. With humble beginnings in New Braunfels, it didn’t take our company long to expand to Fort Worth and Dallas, where we continue to build our family-owned business. Our moving crews specialize in handling residential moving and packing needs in Fort Worth and Dallas. With many innovations and locations to come in the future, we plan on growing through top-quality services and expertise. Here at Evolution Moving, we have studied the moving industry and evolved its’ techniques to create a simple stress-free experience. We offer simple and fair prices at an hourly rate that won’t leave your head spinning. We like to think of moving as a science, that’s why we only hire college educated professionals to help with your move. Our coordinated sales team will help you prepare for your move from keeping you informed to helpful packing tips designed to save you money! We are moving Evolved! 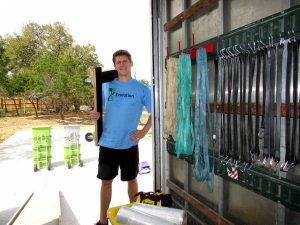 Founder Ryan Hughey spent two years of gathering experience and knowledge before he decided to collaborate with family and create Evolution Moving Company, the answer to an under-disciplined service industry. Ryan’s commitment to the company and his customers is to provide the highest quality of service and satisfaction when it comes to moving furniture. 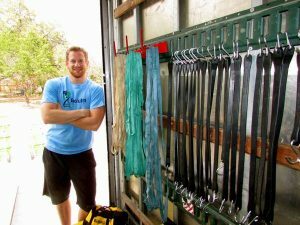 After graduation from college Co-owner Cameron Hughey got a job with Ryan at a leading a moving company in Austin where he perfected the science of moving and packing. He now joins his brother and the rest of the Hughey family to provide the absolute best moving service around.